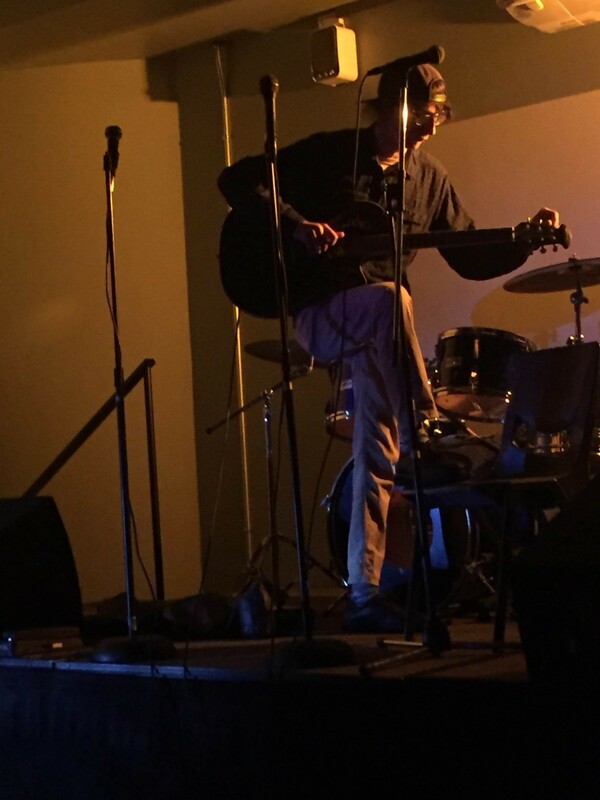 The University of Rhode Island’s Musicians Guild entertained students on Friday evening with poetry, comedy, acoustics and much more at their first Fall Open Mic. This event asked audience members to bring a canned good and/or a monetary donation for the Rhode Island Food Bank to help those struggling this Thanksgiving season. In total, Musicians Guild raised about $40, plus multiple canned goods to go towards the food bank. You can also find out how to qualify for food stamps here. 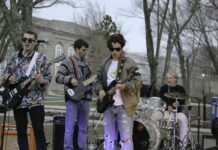 Jared Smith, URI junior and president of Musicians Guild, shared his excitement for the event and how it showcased students and their talents. 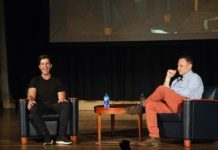 “We thought this event would be really different and a great opportunity as a special event on a Friday night that people could make a night out of, in comparison to open mic’s that are held during the week,” Smith said. 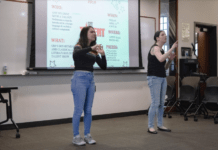 Smith explained that the Musicians Guild hopes to hold another open mic next semester, in hopes to one day turn it into a big, annual event. The event showcased about 15 to 20 performers, some of whom performed last minute, surprising not only the audience but Musician’s Guild executive board as well. Mike MacQueen, Musician Guild’s treasurer, performed stand up comedy for the evening. He said that his act was last minute based off of what he observed in the audience. MacQueen based his act off a new app called Rumbler, that he described as “tinder, but for people who want to fight.” He explained that he had heard about the app prior to the event and formulated his jokes around the app. The crowd cheered and applauded for MacQueen’s humor all the way through his first time doing stand up comedy. 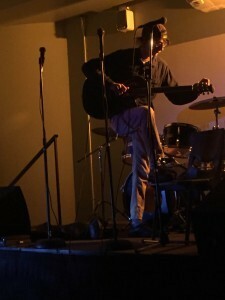 In addition to MacQueen’s stand up, Josh Zenil, member of the Musicians Guild, performed his own unique acoustic set for the audience. Zenil performed three cover songs for the audience, including one by a Mexican rock band called ZoÃ©, “Mardy Bum” by the Arctic Monkeys and the second half of “Pyramids” by Frank Ocean. He said performing in front of the audience was a bit nerve-wracking. “I used to do a lot of acoustic sets in high school,” Zenil said. “But this is my first time doing it again in over five, almost six months, so it was a great experience.” Zenil said that every weekend he went home he found himself practicing for the event, so he was prepared, but still had some nerves no matter what. The Musicians Guild has been around since the mid ‘90s. They are a group of individuals from all majors and all walks of the music and arts scene. They meet every Monday in room 124 of the Memorial Union at 6 p.m.
On Friday, Dec. 4, the Musicians Guild plans to host “The Worst Christmas Ever!”, featuring performers Somos, Drunk Uncle and Southpier. The event is set to take place in Atrium 1 of the Memorial Union at 6:30 p.m. General admission tickets are $10 and URI student tickets are $7. For more information on this event and to RSVP check out their Facebook event at https://www.facebook.com/events/641242986017415/. Follow the Musicians Guild on Instagram @urimusiciansguild and like them on Facebook at https://www.facebook.com/URIMusiciansGuild/?fref=ts.